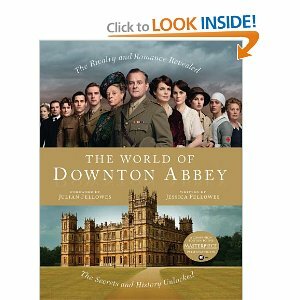 I don't know how many of you have been watching Downton Abbey on PBS, and some of you may be sick of hearing about it. But let me just tell you: Grayson and I don't agree on many shows (the ones we watch[ed] together include Lost and So You Think You Can Dance), but we're watching Downton together. 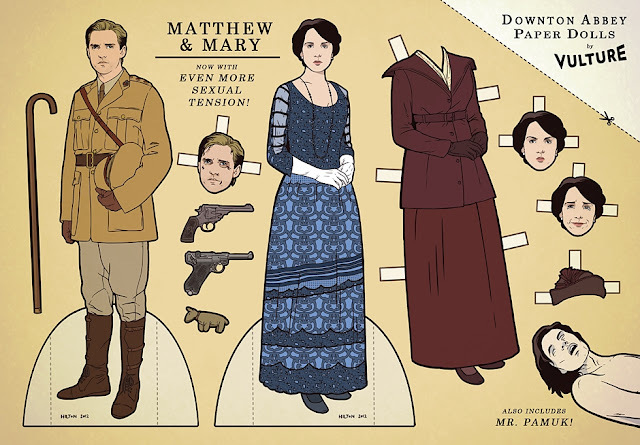 It's a period drama (which I usually refuse to watch), but it's kind of soapy, too. Plus, they all speak British. Win-win. It's a great mix of so many things, and I highly recommend it. 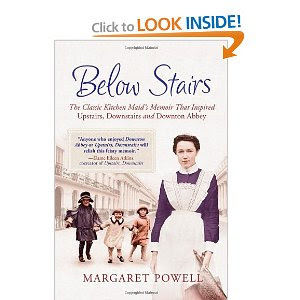 Which led to me finding Below Stairs, which was written about a woman who worked "downstairs" in the kitchen and inspired the shows Upstairs, Downstairs and Downton Abbey. Now. Go watch some Downton! 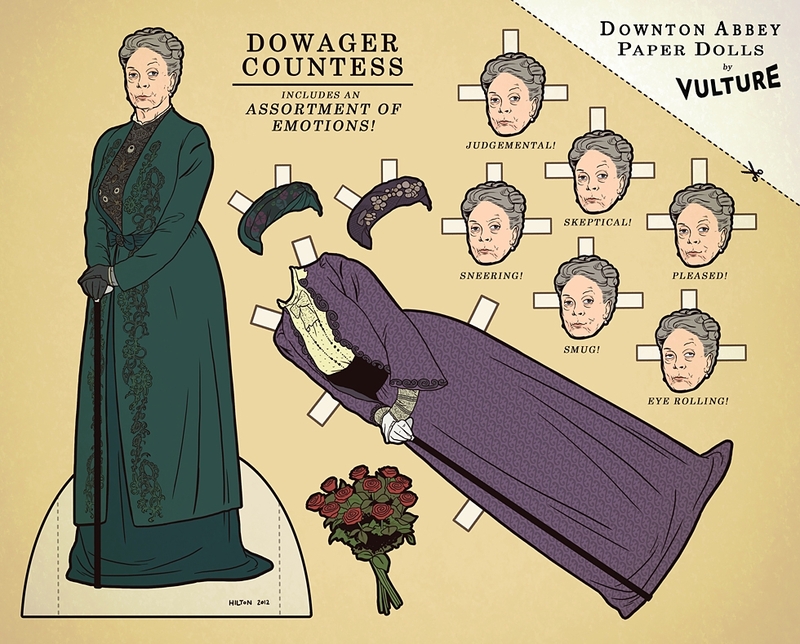 The Dowager Countess had so many great scenes in the finale. Maggie Smith rules. Do the boys know you love a show with Professor McGonagall in it? That chart is so wonderful. I need to print it out and frame it and hang it next to my TV. I'm already going through Downton withdrawal but Upstairs Downstairs is next in my Netflix queue. I hope it's as good as I hear! I did my part to help this go viral; I submitted it to reddit :P This is fan-freaking-tastic! Thanks for the shout-out! 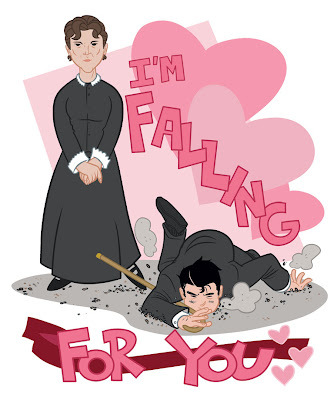 I love the Valentines - I hadn't seen those! I pinned them right away. I have seen one episode and wish to see it from the start. 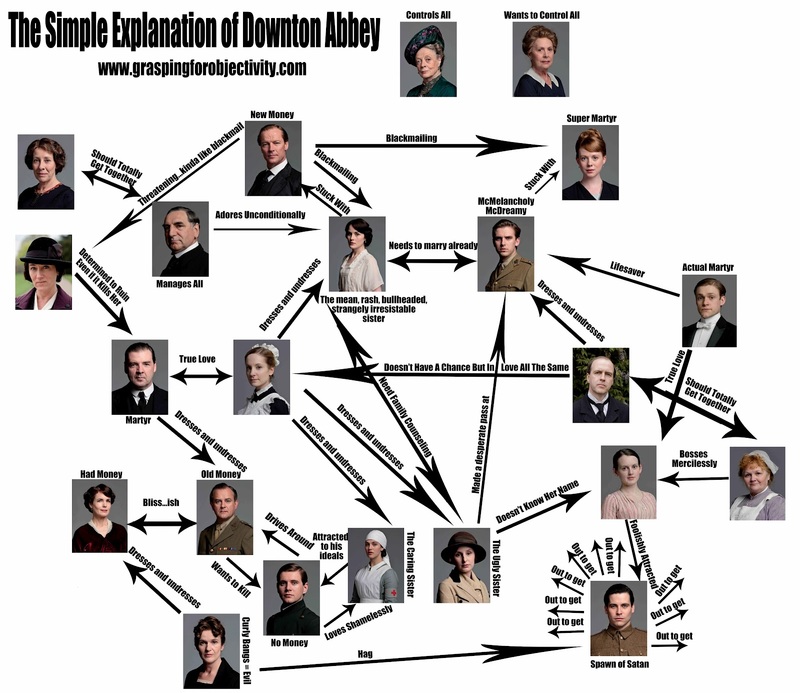 I feel lost, but with the chart, I agree with all, perfect for going viral! 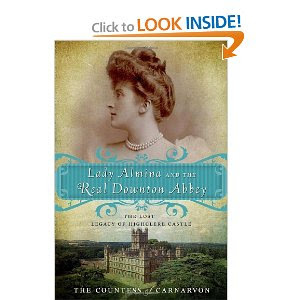 It's a fantastic parody of Downton Abbey done by the BBC. It's hilarious!